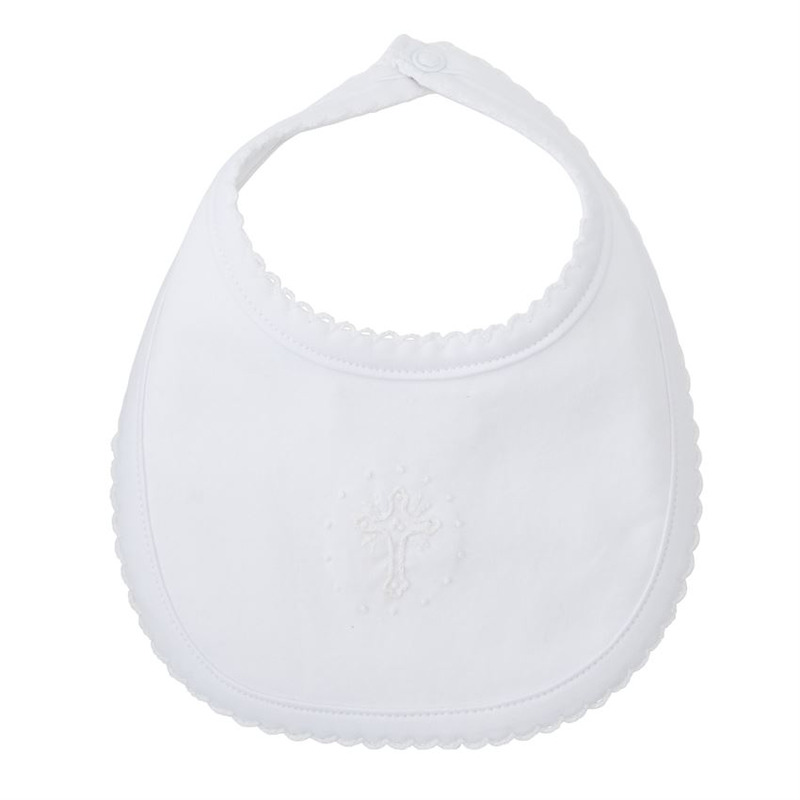 100% so-soft fine cotton bib features picot stitch binding, hand-knotted French knot cross icon, self backing and snap closure. Bib is a very stylish way to protect your little one's darling outfit from spills or messes while they eat! DETAILS Dimensions: 8" x 6 1/2"